REV. 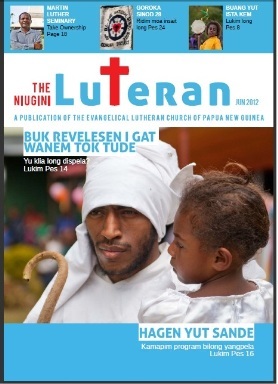 WENGE: Proclamation of the Gospel is my concern for ELC-PNG. On the 9th of April, at the first retreat of the Evangelism and the Ministerial Training department, the Head Bishop Right Reverend Giegere Wenge emphasised with passion, confidence and courage that his main concern is that the work of the proclamation of the Gospel to be restored as the core functions of the Church. After being elected and consecrated as the Head Bishop, Rev. 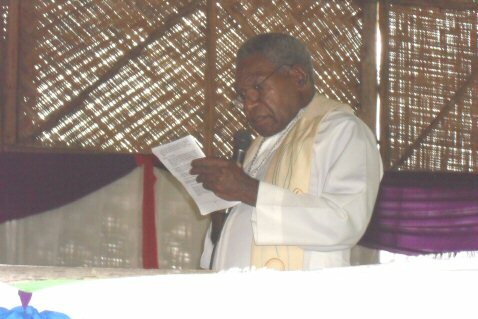 Wenge did not chair any formal Church council meetings yet or gave a formal speech to the church spelling out his vision and dream to lead ELC-PNG. It was at the retreat of the two core department of ELC-PNG that his Vision to lead ELC-PNG was presented. Bottom-Up Approach than too much Top-Down approach. This is a new chapter of ELC-PNG; starting 2010 our approach will be a complete Bottom Up than too much Top-Down approach. We have been suffocating our congregations, Parishes, Circuits and Districts by stepping on their heads. Ampo must now be at the bottom to up lift its congregations with both its hands so they will breathe fresh air, see the light from the top position and live to their full potential and move forward… WOK MITI… at the acceptable level. With that, I, as the Head Bishop of ELC-PNG, the safety valve of all ELC-PNG’s operations in PNG and aboard want to see that all is running effectively to produce results as required by the Church. WOK MITI must be preached and spread to all regardless of geographical complexity, ethnical differences, cultural barriers and the financial cost… ‘WOK MITI’ must achieve its ultimate goal as stated in Matthew 28:19-20.
artments into three main sects. These three sects are the Ministry sect, the Social sect and the Support sect. The roles and responsibility of each of the department will not be changed. The Ministry sect will have the Evangelism and the Ministerial Training department, the Social sect will have the Education, Health and the Lutheran Development Service departments while the Support sect will have the Finance and the Lands/Property department. On the 8th of May 2010, the Church of Hope Parish in Lae City circuit of the Jabem district organised a Prayer Barbeque. The objective of the event is to pray together as Christians and encourage prayer commitment in personal, family and congregational devotions. The event was organised by the Unitech Prayer group. This is a group made up of intellectual Lutheran lecturers, students and other officers in Unitech. The group is led by Dr. Reilly Nigo, Mr. Gomi Gipe, Ps Elymas Bakung and Mr. Jack Serum. At the occasions the Evangelism department secretary, Rev. Junare Binora, Ministerial Training department secretary, Rev. Hans Giegere and CPP Manager, Mr. Francis Gumembi were present amongst other former Lutheran graduates from Unitech as guests. 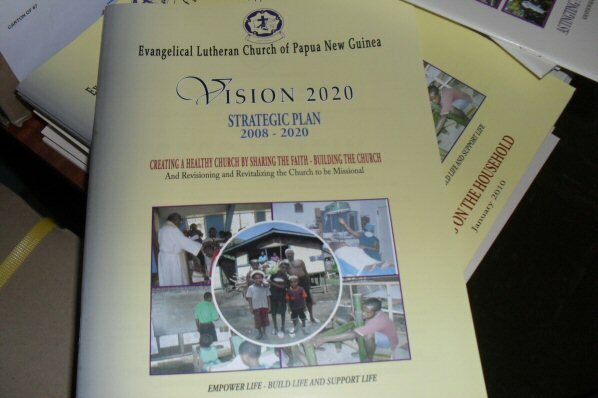 On the 29th to 30th April 2010, the Church Partnership Program (CPP) organised and facilitated a Vision 2020 planning workshop. The theme of the workshop was ‘Towards Achieving Vision 2020’. According to the CPP Manager and the facilitator, Mr. Gumembi, the participation turned out to be very successful. Participants include the General Church Secretary, Mr. Albert Tokave, all the seven (7) ELC-PNG department heads and about 90% of the divisional directors of the ELC-PNG programs.